You can call it a creek or call it stormwater drainage, but whatever it is, the water running under the edge of White Oak Savanna Nature Park in West Linn is causing headaches for the City and some citizens. The water currently runs in a pipe through the wooded area parallel to Tannler Drive, and some proponents of the nature park are pushing to have it "daylighted" — the term used when buried freshwater courses are brought to the surface. They see it as a boon to the park and the general environment, and they want to use some of the funds allocated for a children's playground to pay for the work. West Linn Parks Director Ken Worcester insists the water is not fresh, but is stormwater from the neighborhoods farther up the hill. He points to a 1954 city map that does not show a creek in that area and the city's official Water Resources Map, which shows Bernert Creek only on the south side of I-205. The City's water resource codes says the rules apply to all water resource areas, whether or not they are on the city's map. A wetlands and riparian inventory report prepared for the City of West Linn by consultants in 2003 is being used by supporter Roberta Schwarz in pushing for the daylighting, and it refers in multiple sections to the "Upper Bernert Creek watershed" and also mentions the site's qualities as a wildlife habitat. Worcester agrees that the Savanna Oaks neighborhood and others on the slope are part of the creek's drainage basin but he sees the maps as something that identifies grades in the city that direct water, and not something that proves existence of a freshwater creek. "We have a bunch of old maps, and none show Bernert anywhere near the area. There are springs in the area, but as development happened on that slope, we had to reroute stormwater," Worcester said. 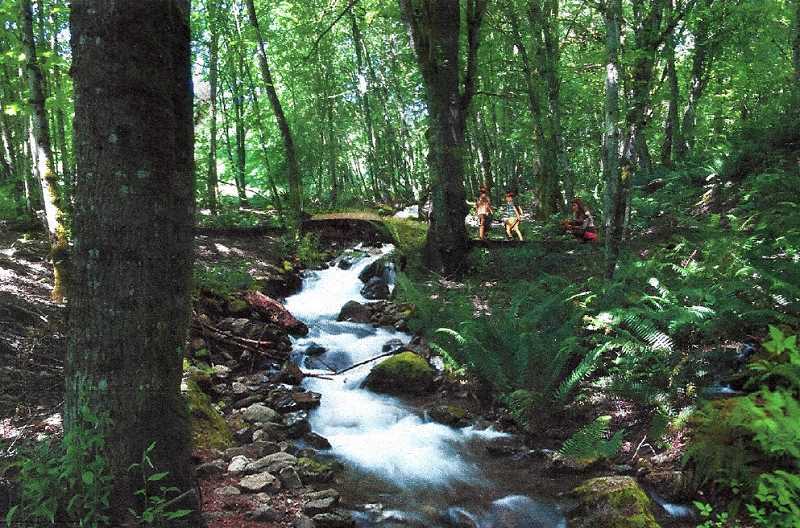 Schwarz insists that her Citizens for a Livable West Linn nonprofit, the organization that championed development of the park, hired a hydrologist in 2007 to map the waterway and he confirmed it was a naturally occurring creek. Schwarz said she knew the creek was not on the city's Water Resource Map at the time but assumed that would change after she shared the hydrologist's report. Recently, she also has found a U.S. Fish and Wildlife wetlands inventory map that clearly shows Bernert Creek beginning somewhere high in the Savanna Oaks neighborhood. Citizens for A Liveable West Linn recently paid for an updated hydrology study, which it plans to share with the City soon. The city's development code encourages, but does not mandate, that buried streams at any new development be daylighted if doing so will not negatively impact neighboring properties. 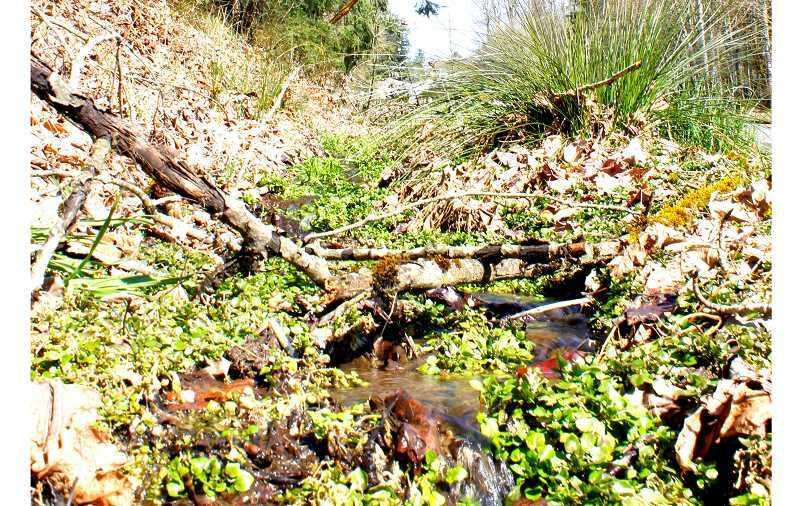 The code also stresses consideration of "the ability of the reopened stream to safely carry storm drainage through the area without causing significant erosion." This drainage issue is a concern for Worcester, who said the drainage carries a significant load of stormwater at certain times of the year. The pipe carrying the water under the freeway is a 60-inch pipe, he said. So back to semantics: Is it a water resource area (which the city defines as wetlands, streams, ephemeral streams and riparian corridors) or is it a water runoff drainage? "The daylighting supporters see it as a park amenity and good for wildlife, but this is water draining off roads and driveways, not a good source of fresh water," Worcester said. "They seem to think the code was violated, but if there's no water resource you can't protect it." Worcester further expressed concern on how this debate may delay the building of the play area at White Oak Savanna Nature Park, which is due to go out to bid before summer. If the waterway is determined to be a water resource area, the City will still need to have engineers determine if a surface creek could adequately handle the water load before determining a move forward. Then there's the matter of funding. Members of the Savanna Oaks neighborhood have asked the city to quash plans for numerous amenities in the planned playground, such as a sand play area, a play tower, a slide, a water play area and bathrooms. "We found some things that are not appropriate for a natural park," said Schwarz, insisting that when the playground plan was shown to the neighborhood association earlier, it was not immediately clear what all the features were. If West Linn scales back plans for the playground, the money saved could be used to restore the waterway, she said. Worcester expressed confusion and frustration with this latest roadblock, given that Schwarz and Savanna Oaks neighbors previously expressed support for the playground, adding that it feels like the neighborhood wants only playground features that will attract children from Savanna Oaks exclusively. He considers White Oak Savanna to be a community park, not a neighborhood park. The bulk of funds to purchase the parkland came from state and Metro grants, Worcester added. Schwarz confirmed that she considers White Oak Savanna to be a neighborhood park, saying it was park neighbors who primarily spearheaded the fundraising for the park. 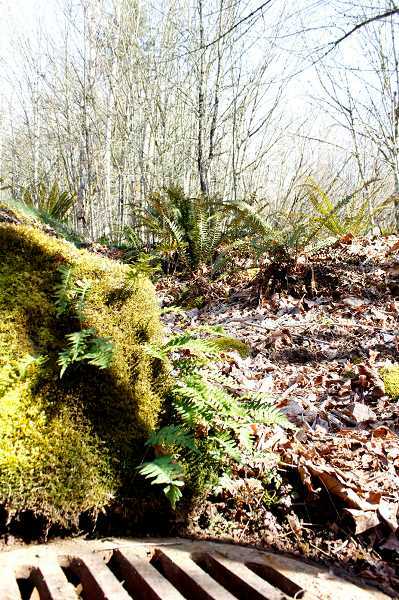 "More than $500,000 for this park came from West Linn citizens. We should have a say in what goes there," she said. 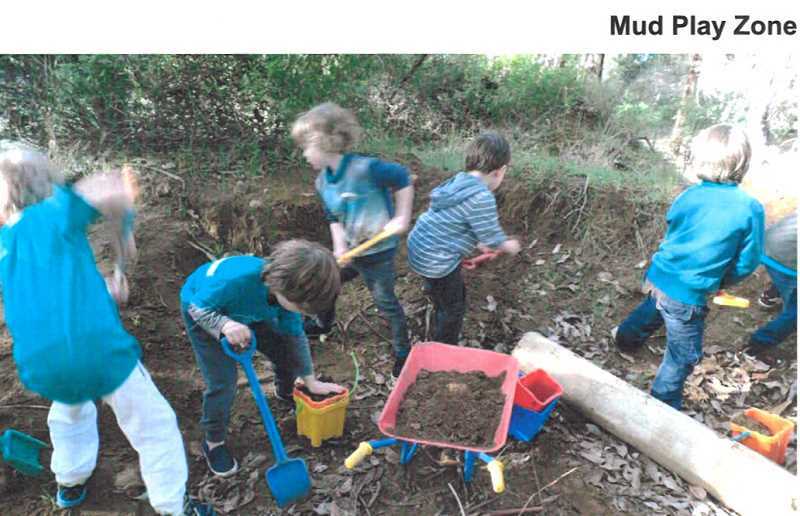 A mud play area planned for the playground is a bad idea because it's unhygienic for children and a "stone ruin" (a fortlike play structure) and outdoor musical instruments like drums and xylophones are a bad idea because they are not natural enough, Schwarz said. She hopes that killing some of the playground features will yield the $160,000 she says would be needed to daylight the waterway, an estimate that Worcester doubts would cover the costs. He sees no solution to the issue that won't delay installation of the playground significantly.